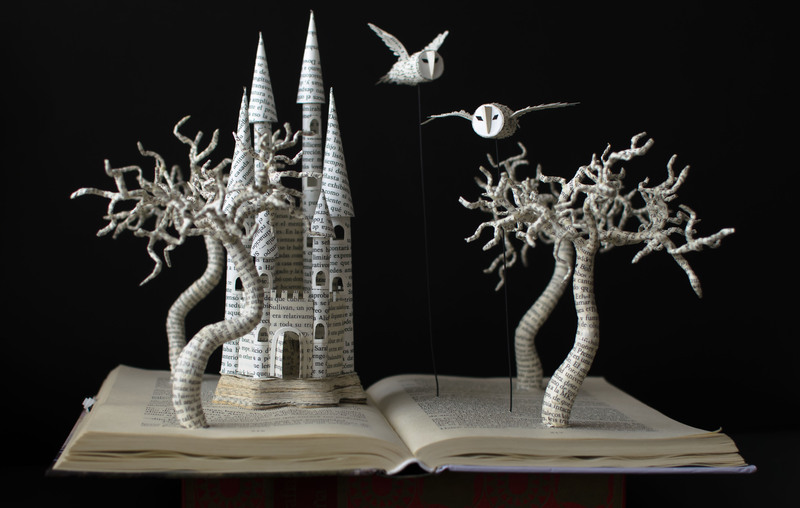 The book sculpture used in our layout was made by Malena Valcárcel. She lives in Alicante – Spain, next to the beautiful and warm Mediterranean Sea. She was born in Tenerife – Canary Islands where she grew up without losing sight of the sea. She has been working with paper for some years now and have specialized in book sculptures. 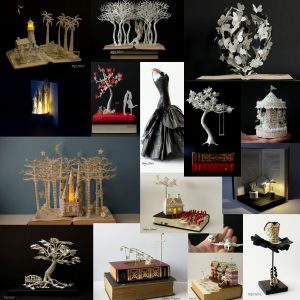 For more on Malena and her work, please visit her Etsy store and her Facebook page!